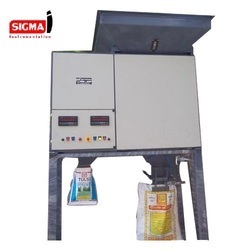 We are leading manufacturers of Rice Packaging Machines and we looking buyer of Rice Packaging Machines from all over India. In order to fulfill the varying demands of our clients, we are offering them a wide range of Soya Packing Machine. Owing the dedicated efforts of our professionals, we have been able to manufacture this product as per the clients' varying needs. Superior-grade raw material is used by our professionals in order to manufacture this product as per the clients' demands. We are manufacturing bag packing machine as per customer design for 5 kg to 50 kg bag packing in one machine. also packing solution as per customer demand like 3 ton /hour or 5 ton/hour or 10 ton /hour. 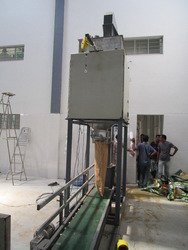 Machine known as a Rice packing Machine & Seeds Packing Machine. 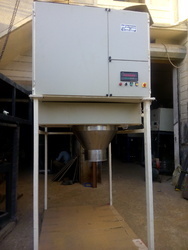 We are manufacturing of bag filling machine for all type grains ,seeds and crop materials. Machine with good quality and best competitive price. We offer the Weighing System packing machines. Easy to install and operate, these are also appreciated for their longer service life, optimum performance and robust construction. Owing to our commitment to attain complete client satisfaction, these are offered in both standard and customized packing settings. We are manufacturer of Grain Bagging Machine for grain industries.Also provided total weighing, bagging and conveying systems as per customer's requirement . Our machines are designed and manufactured adopting the latest technological developments in the field of accurate weighing. 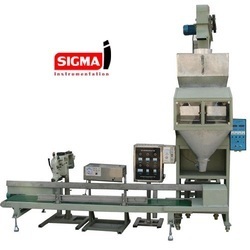 The weighing and bagging machines are available in different models like gravity/belt/screw feeder or vibrating feeder tray. These machines are available as a net or gross model, in mild steel or stainless steel construction. Material Type: Grains, Seeds, Salt, Sugar, etc. 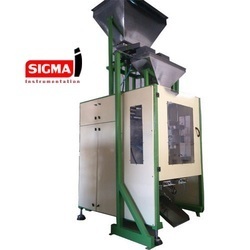 Sigma Instrumentation provides range of big/jumbo Bag Packaging Machine is a perfect solution for carrying out all such laborious operations and is appropriate for filling and emptying the jumbo bags. 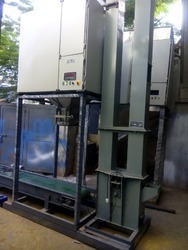 The in-built dust extraction of bag handling system helps ensure a dust-free working atmosphere whereas the careful handling of the bag saves it from any kind of damage and allows it to be reused. 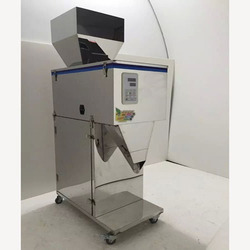 The Big bag filling & unloading by accurate weighing & fast processing with single person. 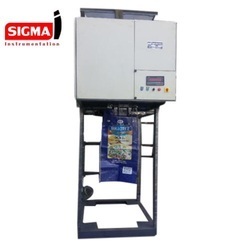 Sigma offers a wide range of machines providing numerous solutions for your grain and seed packaging needs. 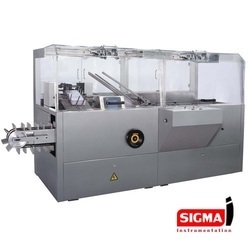 Bag Packaging Machines like the equipped with modern technology offer Bag packaging solutions that follow stringent packaging quality standards for a wide range of products. • Grains, Pulses, Rice, Sugar, Tea, Whole Spices, Seeds, etc. 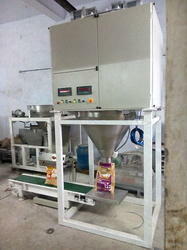 we are mfg of bag filling machine as per customers require. first visited our engineer at customers site,than design the machine as per material and space etc.This machine offered for Puffed Rice Packing Machine.